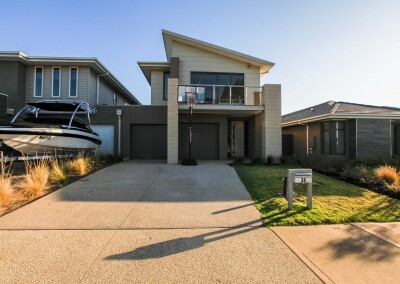 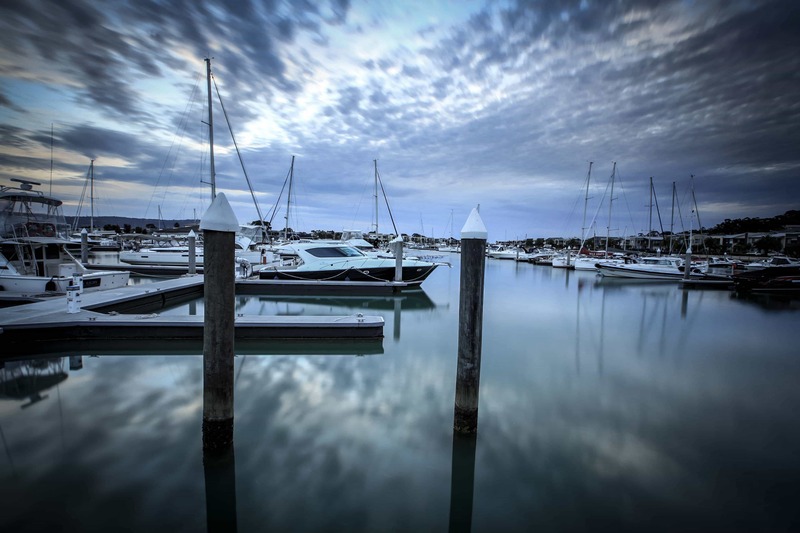 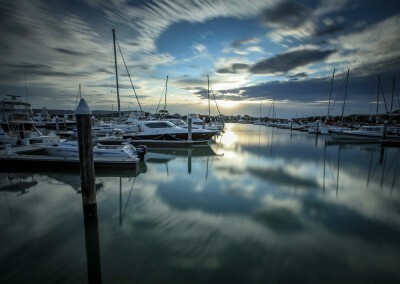 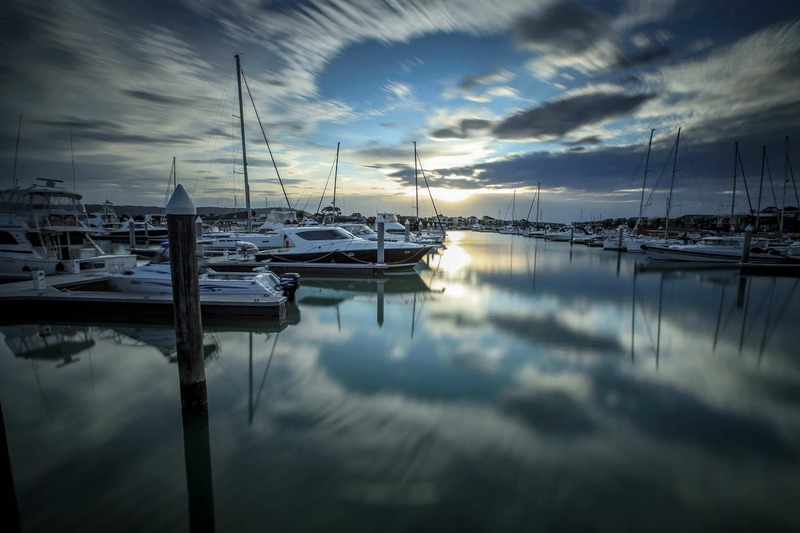 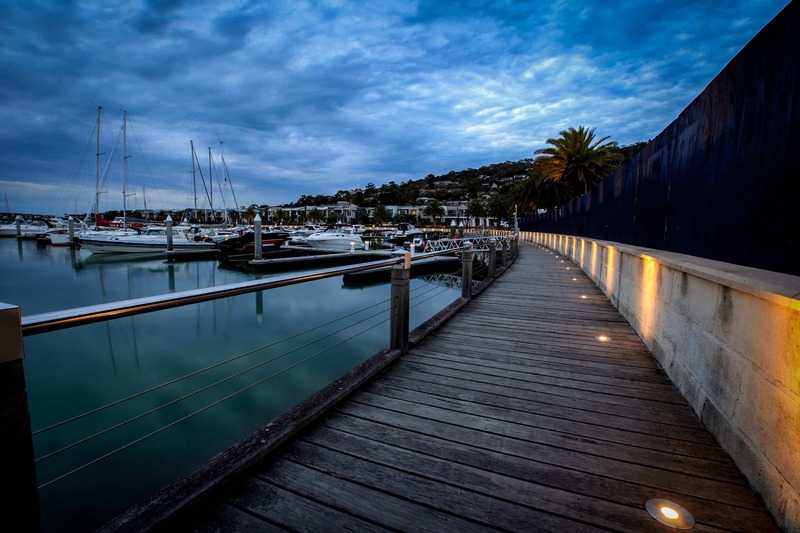 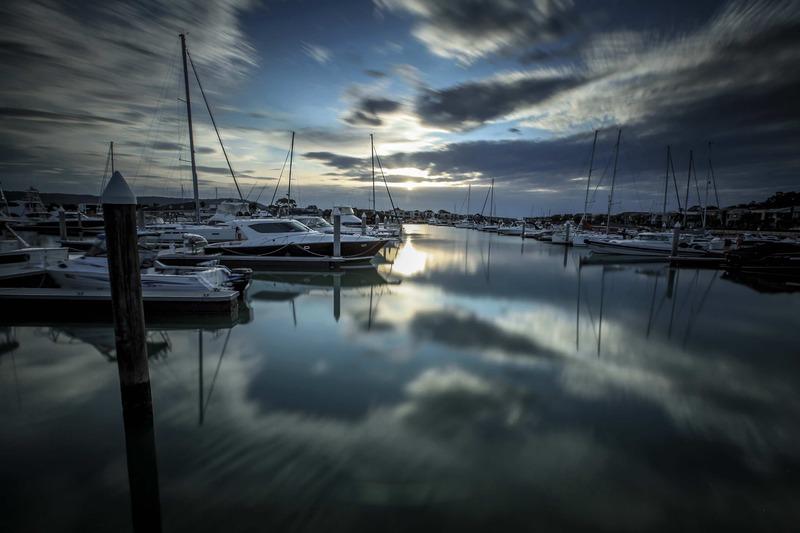 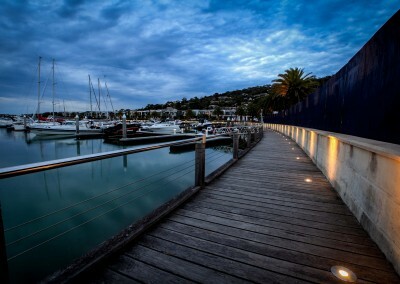 Newly built large family home with outstanding views of the Marina at your doorstep. 5 bedrooms and separate living areas make this home perfect for a large family, or 2-3 smaller families to share. 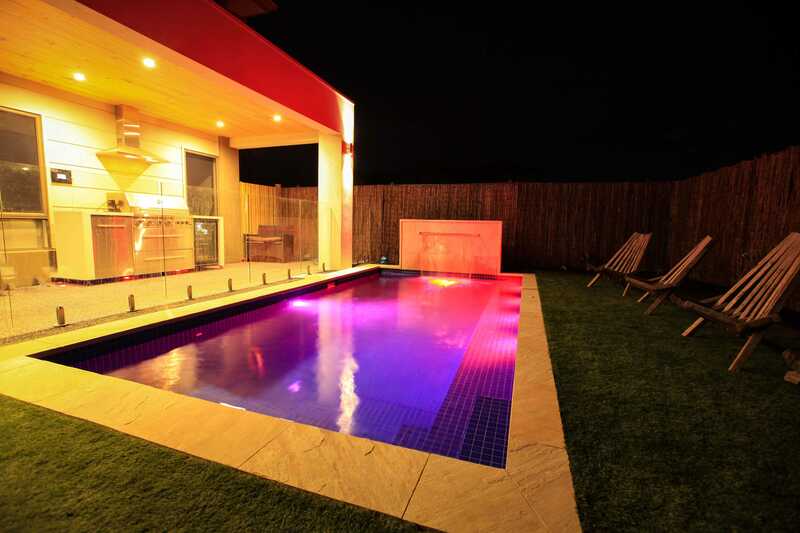 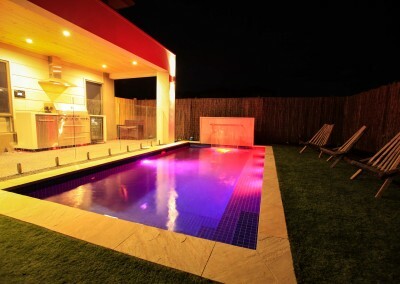 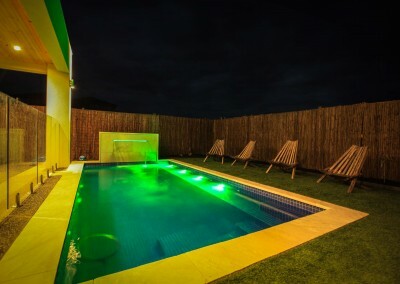 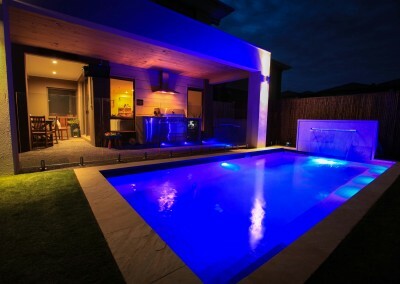 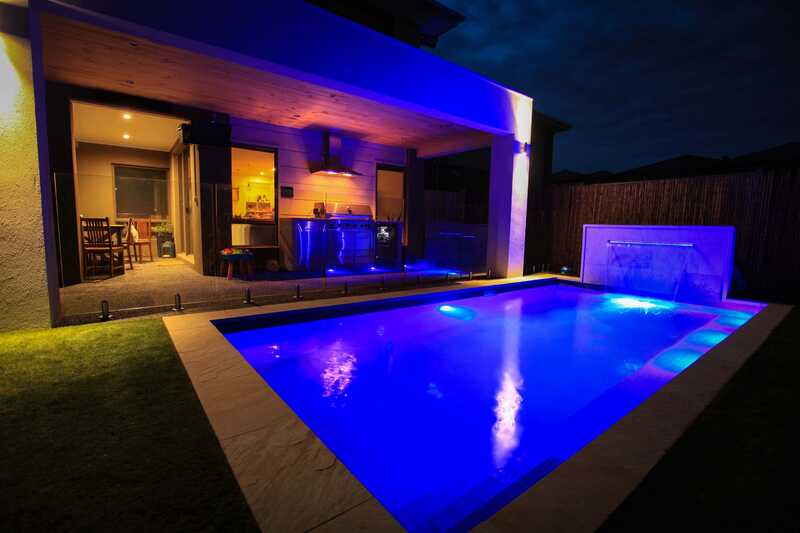 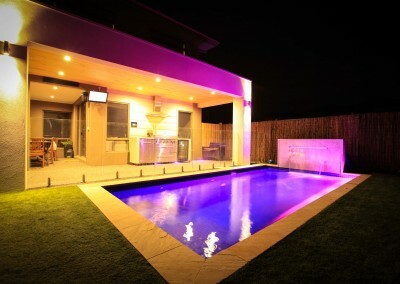 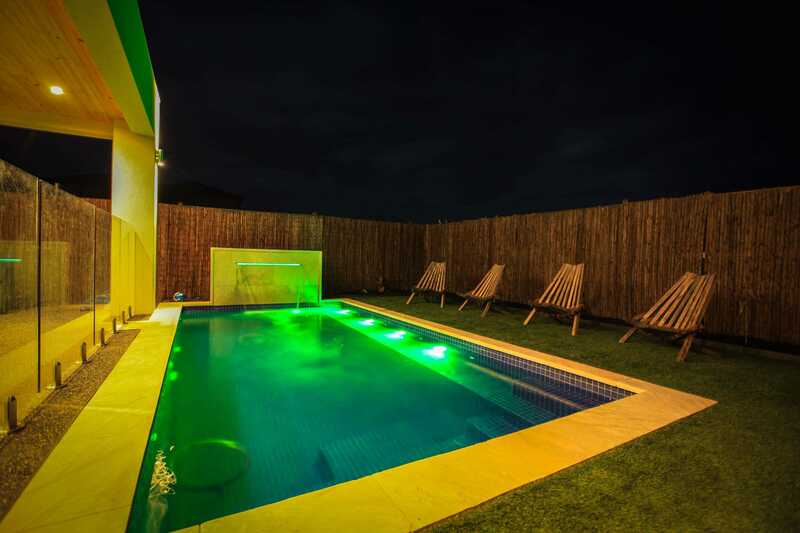 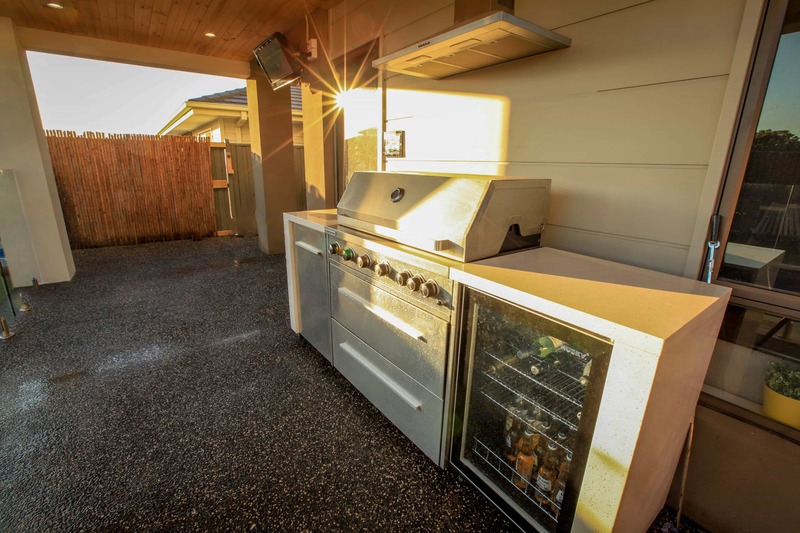 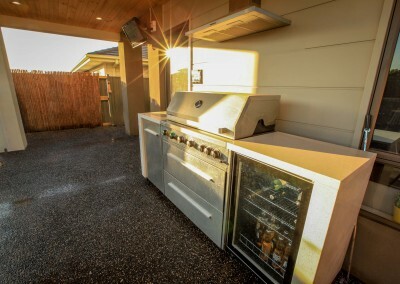 The backyard comprises a Pagola servicing an outdoor entertaining area with BBQ, bar fridge, outdoor TV and Sound System. 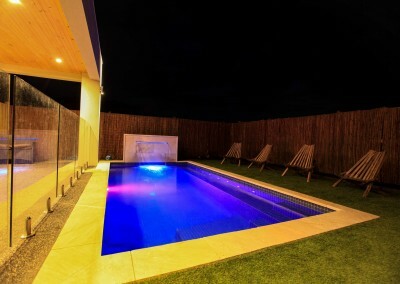 Next to the Pagola is an inground heated swimming pool with spa jets along the back seat and sunbaking area. 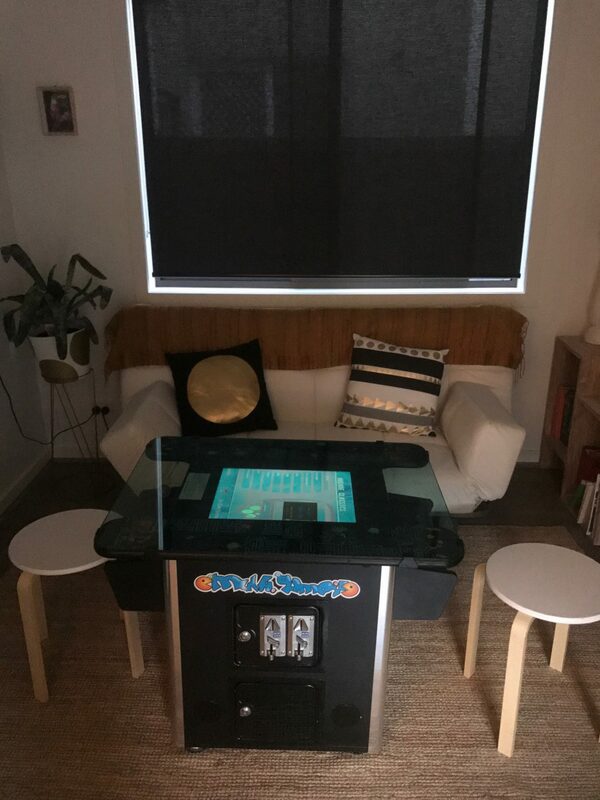 There is a kids (or adults) games room which features a 1980s slot machine with 1500 games from the past – Galaga , PacMan etc . 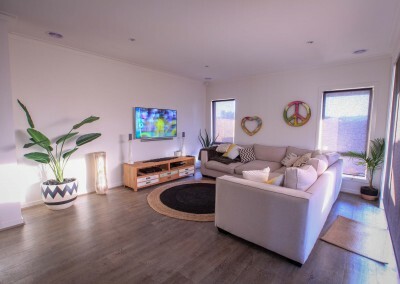 There are multiple Plasma TVs, and air conditioning upstairs in the home, and ducted heating for the colder months. 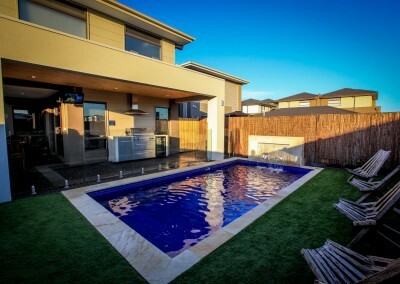 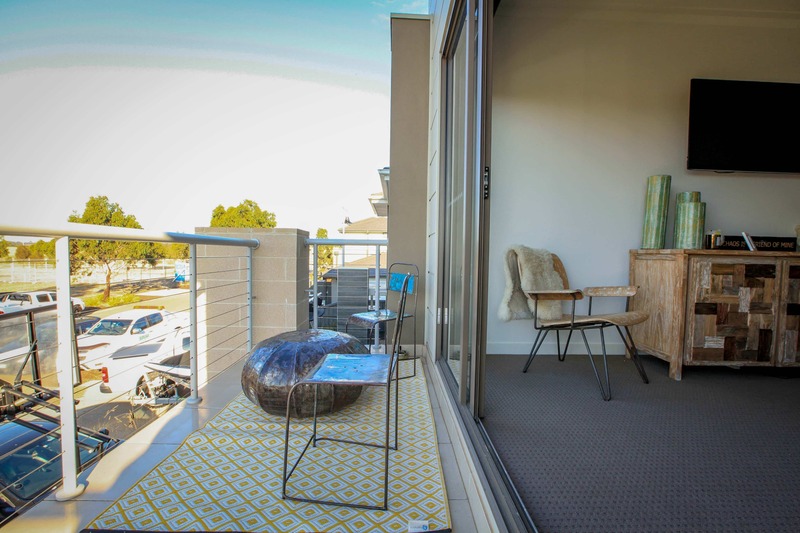 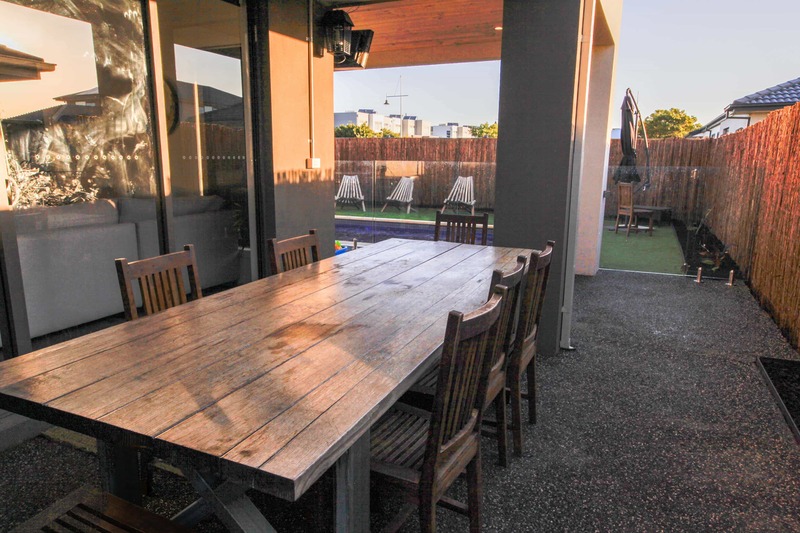 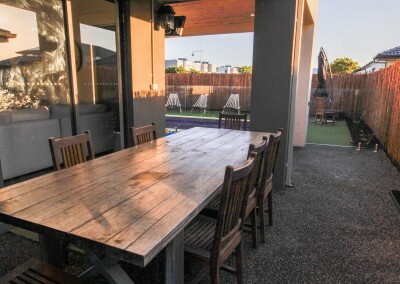 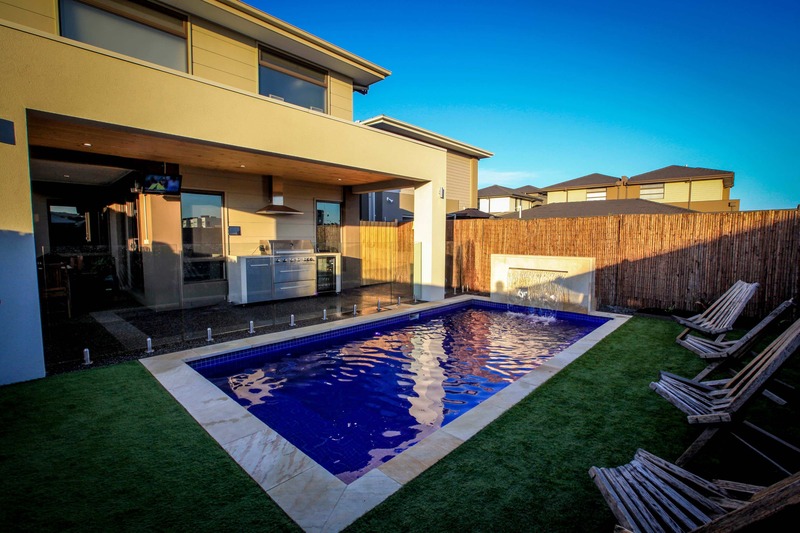 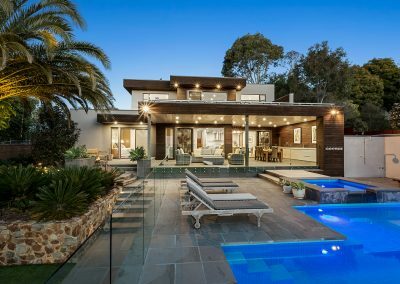 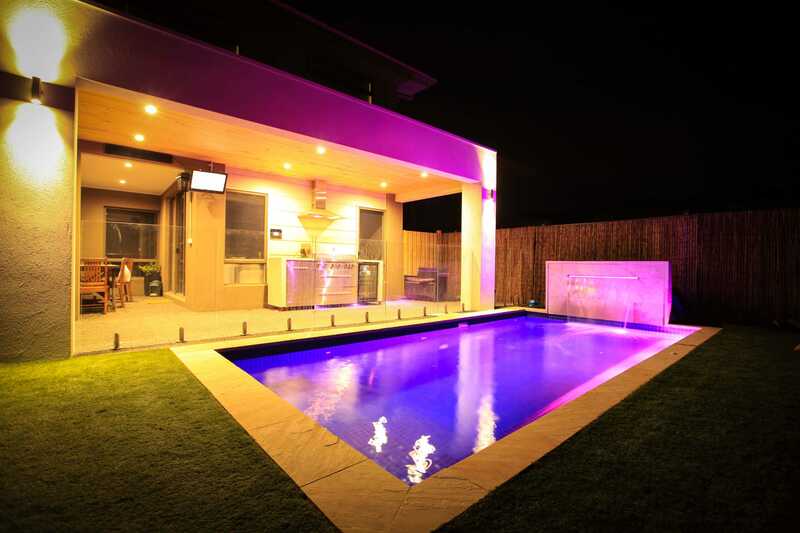 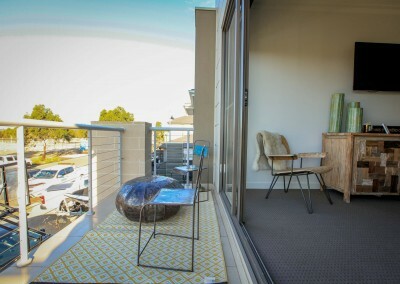 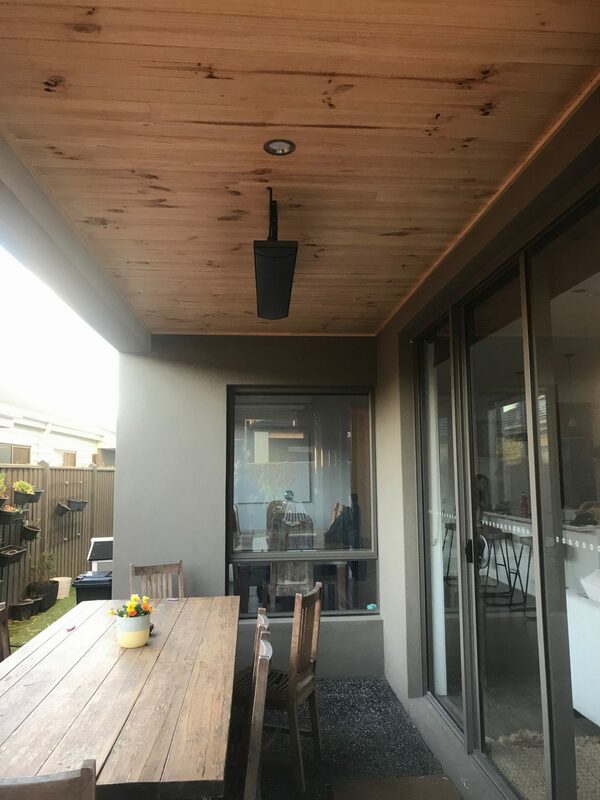 There are 3 Foxtel units at the house with platinum packages including the outdoor tv , so you can watch Foxtel from pool area. 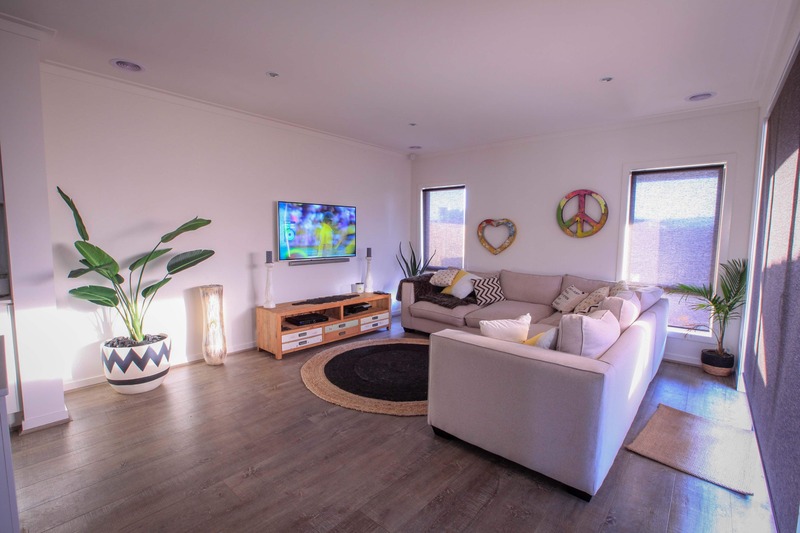 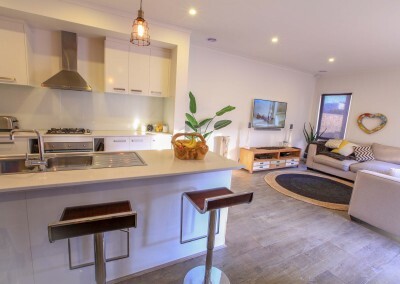 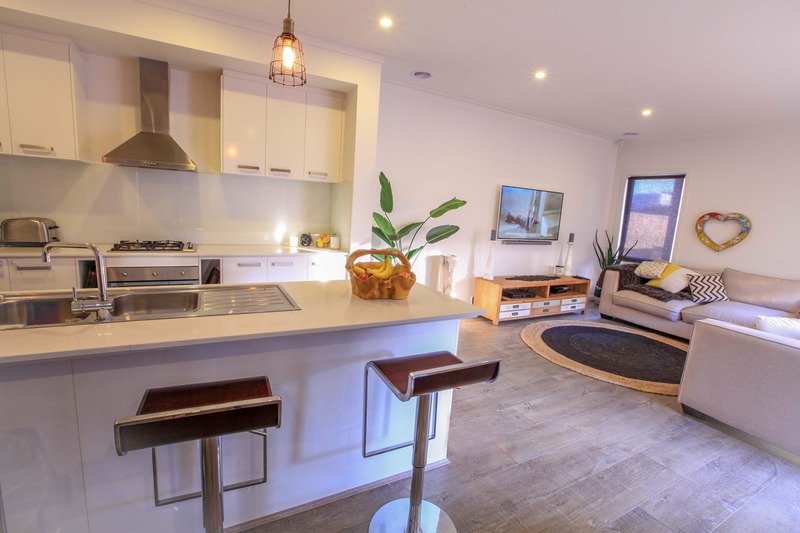 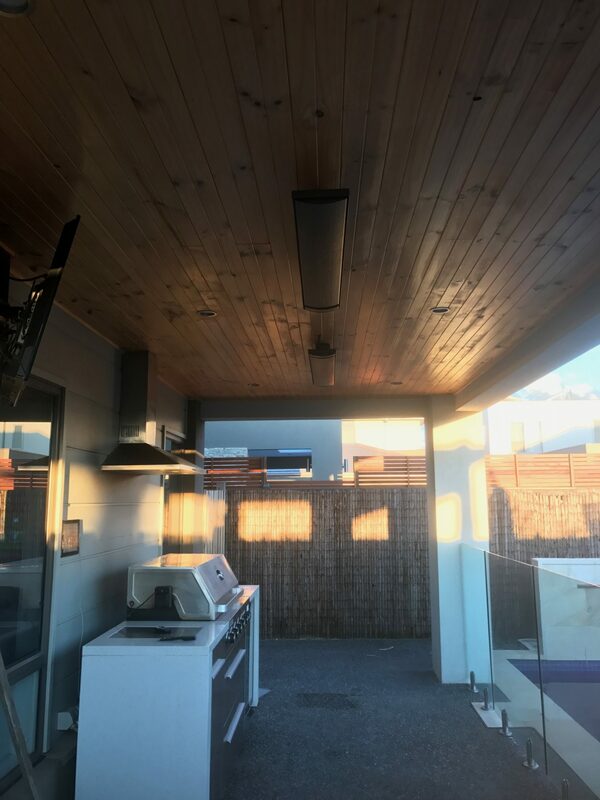 Ground level of this 2 storey house has a very large open plan kitchen (including walk-in pantry and modern appliances)/Dining (table seats eight)/Living area. 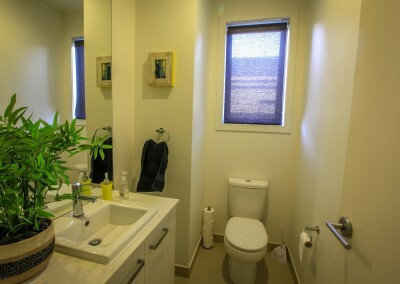 There is a laundry with both washing and dryer, and a separate vanity room. There is 1 bedroom downstairs. 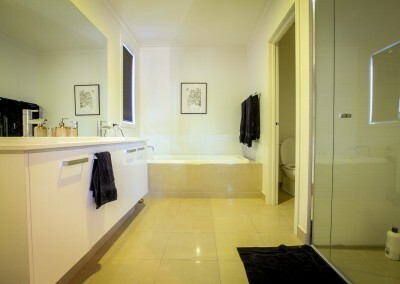 Upstairs has 4 bedrooms, separate TV – living area, bathroom with shower and bath and separate vanity. 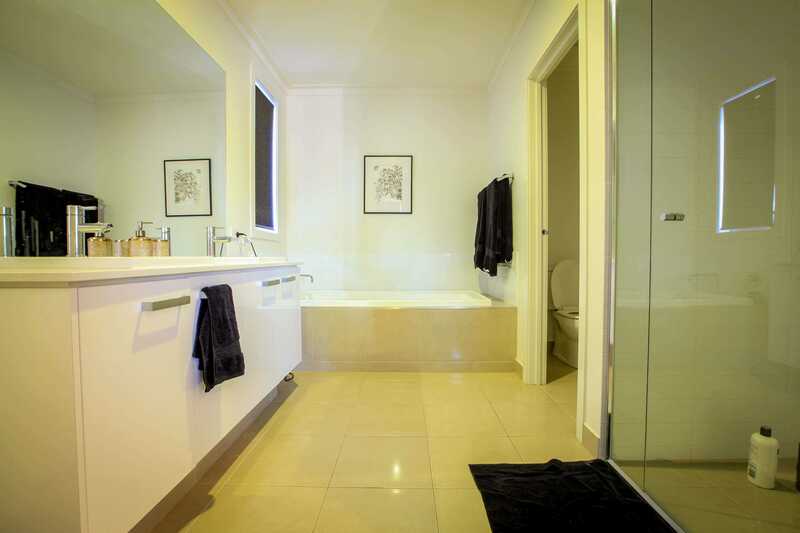 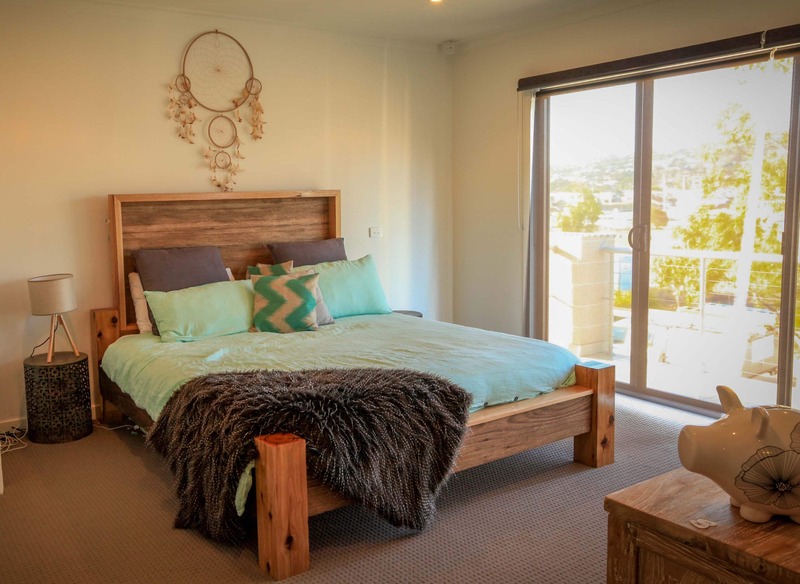 Master Bedroom – featuring King Bed, balcony looking over Marina, walk in robes and Ensuite with bath , shower and separate vanity. 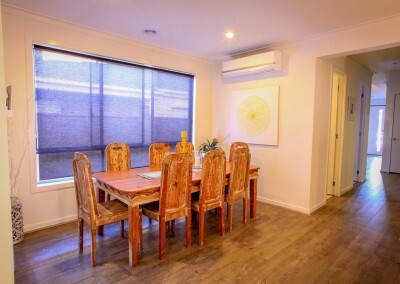 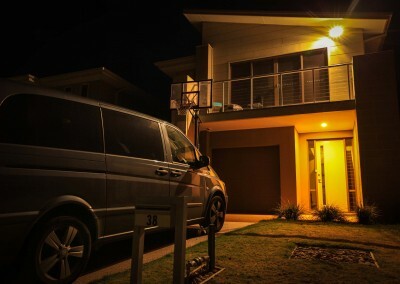 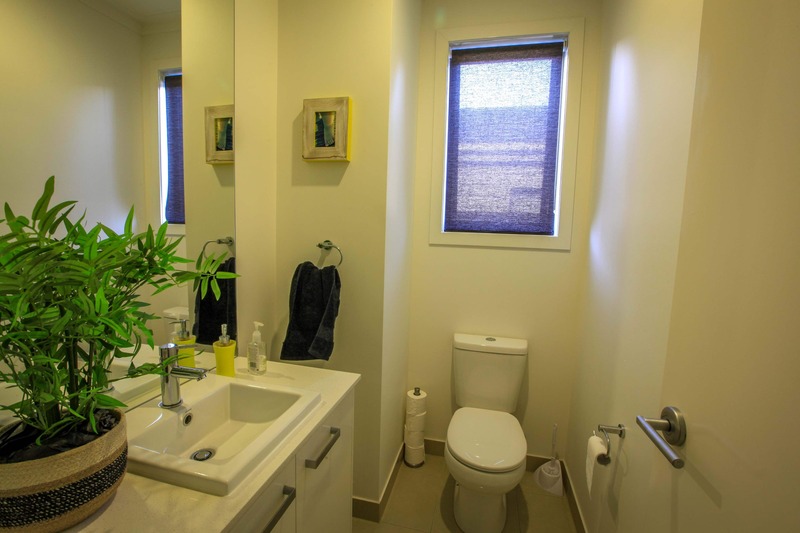 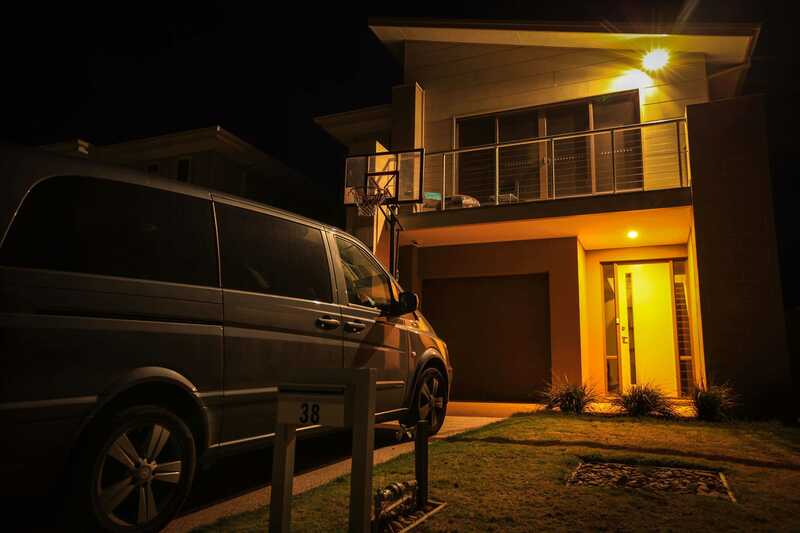 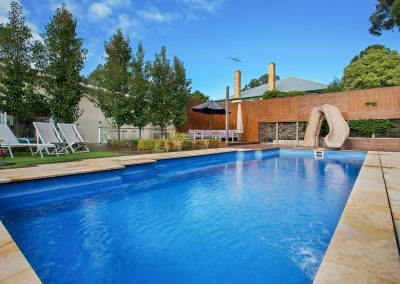 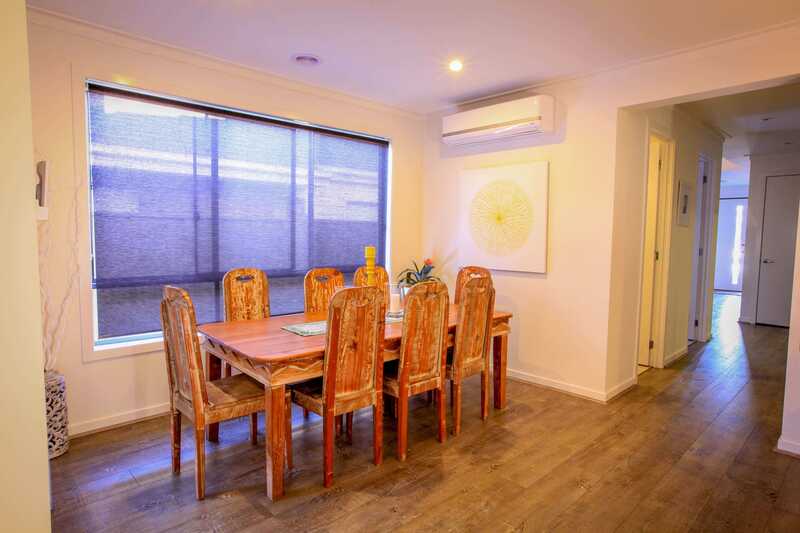 This property is available during all School Holidays and Long Weekends.